Are your customers and members coming in to cash checks, make a payment, have a friendly conversation…and heading down the street for a personal mortgage or business loan? Scarier yet, do they even know what products and services are available to them at your financial institution? 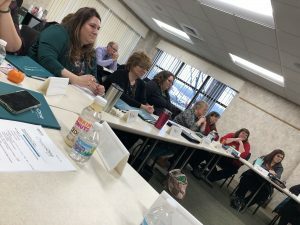 Financial Wellness Training is vital if banks and credit unions want to satisfy all of their customers’ financial needs. It is only through advanced customer conversations that financial institutions can increase market share, build long-term relationships with customers, and strengthen brand position in the communities served. Customized Training Programs are designed to fit the needs of your financial institution. Using visualization techniques and advanced customer conversation practices, your staff will excel at helping your customers and members think of you as their primary financial institution and realize they can reach all of their financial goals at your bank or credit union. NOTE: We have fun in all of our sessions without throwing candy! A critical part of any customer conversation is to determine customer needs and fulfill those needs with your products and services whenever possible. It’s always nice to have a friendly greeting and conversation. 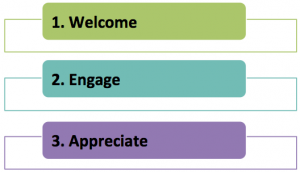 However, your employees need to have the knowledge and confidence to greet, engage and appreciate your customers and members in ways that are financially meaningful to them. The purpose of this program is to gain the confidence and skill to talk with customers about the products and services your bank offers and feel confident enough to discuss or refer to an expert whenever needed or required. This program is tailored to your specific needs and can range from a three-month program to a full year… many financial institutions will make it continuous. We spend time in each session progressing from very simple roleplaying to more complex interactions, so your staff learns how to listen for clues, ask open-ended questions, and anticipate customer needs. Each customer conversation walks through these steps to fully engage the customer in their personal financial wellness. Because training is a continuous process that requires planning, commitment and accountability, I offer sessions for your Branch Managers. The goal of each session is to help them feel confident holding their staff accountable for your Advanced Customer Conversations. we guarantee each branch manager will naturally build their confidence level and in turn reach their sales and prospecting goals. Whether you’ve been in the business for a few years or just entering the scene, it’s always important to refresh your skills and expand your knowledge base. Often your commercial lenders, business development officers and sales staff will require some training or a little assistance in refreshing their sales and networking skills. That’s where we come in. The goal of this course is to teach basic writing and grammar skills so all communications leaving your bank and credit union have a consistent professional message with the proper tone and style. Feel it, Believe it. Show it. The purpose of this class is to demonstrate how important confidence is in building credibility and trust in all we do in our personal and professional lives. Sometimes we have to fake it…until we make it…and then become it. Discover the power of this business-networking tool to prospect, develop business and gain trust and credibility as an expert in your field. Learn how to build your profile for business, receive endorsements as well as other best practices and etiquette on LinkedIn.